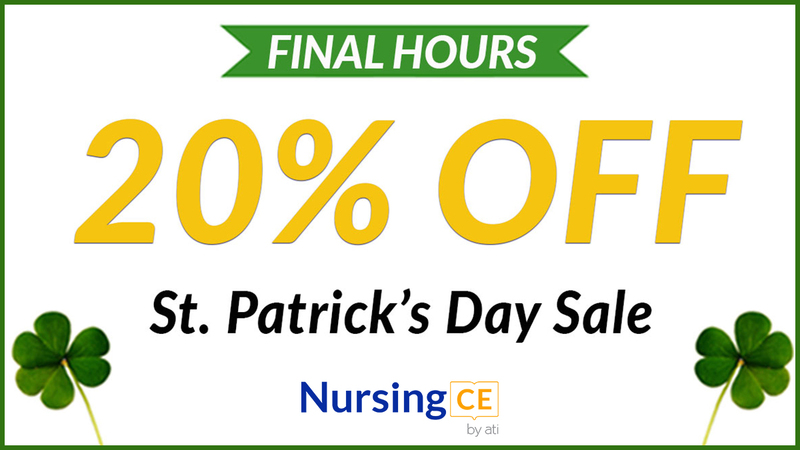 You’re probably recovering from yesterday’s festivities but don’t let that stop you from taking advantage of the final hours of our sale. Don’t forget to enter CLOVER at checkout for 20% off your CEs. Be quick though -- our offer ends TONIGHT, Sunday, March 18, 2018, at 11:59 pm PT.